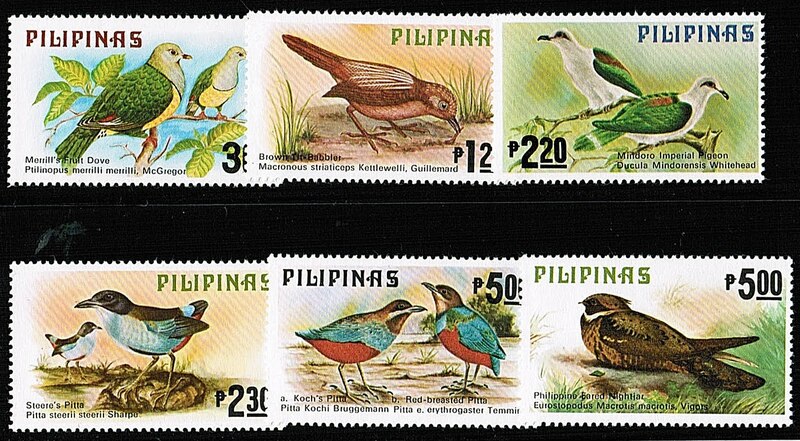 In 1979, the Philippines issued an attractive set of stamps featuring Native Birds (Scott #1392-97). Only 50,000 sets were issued, and Scott '12 prices the unused set at $28.90. Most were probably used as postage and discarded. From the perspective of philatelic history, the Philippines is interesting because it has issued stamps under Spanish dominion, U.S. Administration, Japanese Occupation, and as an independent nation. It is also compelling as an area of research for the philatelic investor, because of its rapid economic growth, and because it has issued a number of scarce yet overlooked issues, including some modern popular topical sets, such as the Birds set featured in this article. I have begun a new blog, "The Stamp Specialist", which will feature wholesale buy prices for stamps which I am interested in purchasing. I've just posted a buy list for the Philippines, and it includes the set and souvenir sheet recommended in this article. Viewing dealers' buy lists every now and then is an excellent way to keep current on the vagaries of the stamp market.